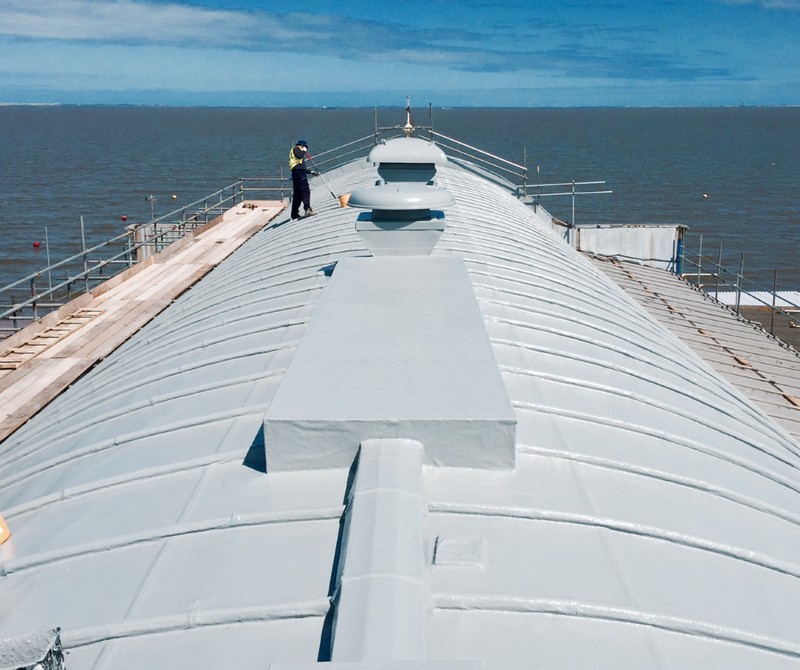 As part of the full restoration works at Cleethorpes Pier, Surface Protection Coatings Ltd were chosen to complete the waterproofing works to the distinctive barrel roof. 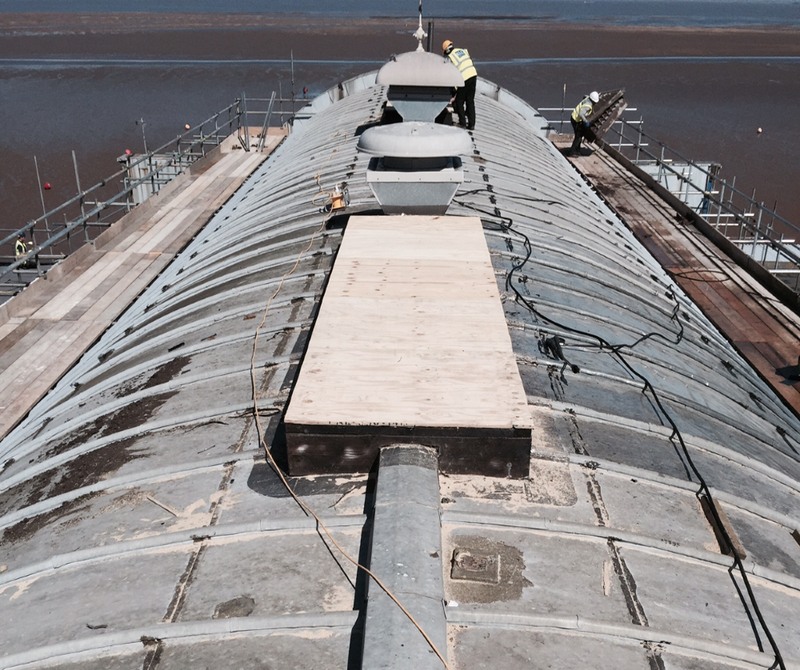 The roof was cleaned and closely inspected paying particular attention to the joints. SIkalastic is the ideal system, the products design allows it to cure in a wide range of conditions including the challenges posed by a sea front location and the unpredictable UK climate. It’s elasticity will also absorb any structural movements the joints may experience without the system cracking. 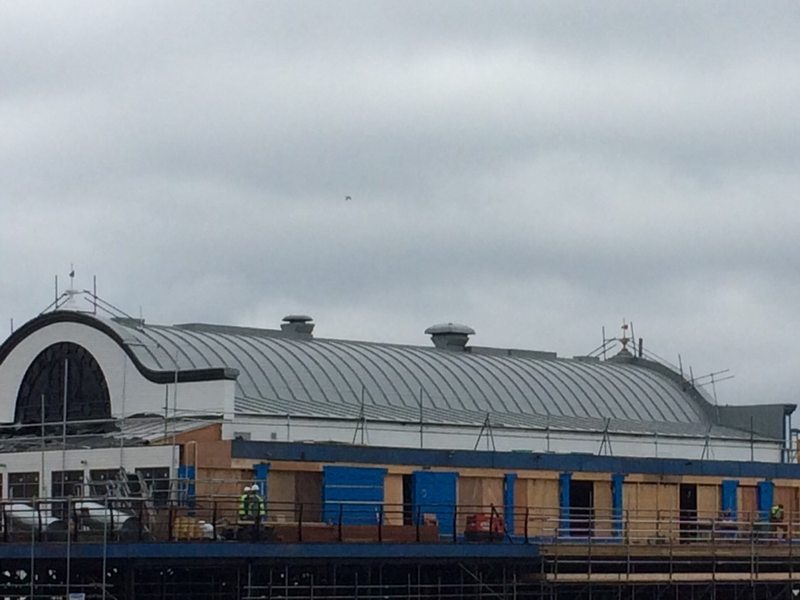 The image here shows the roof once the primer had been applied. This was followed by two coats of Sikalastic 625 giving a smooth watertight finish with a 15 year product guarantee. The project was completed in 4 weeks giving plenty of time for the finishing touches in preparation for the Piers re-opening in late summer 2015.